Captain, the bridge is yours! Bareboat yacht chartering provides you the outmost freedom on your vacation. Does not a vacation mean freedom anyway? You can pass your days at whichever coasts you choose on whichever day you please, with the music you like while dining on your favorite foods and beverages, and get away from your daily routines. 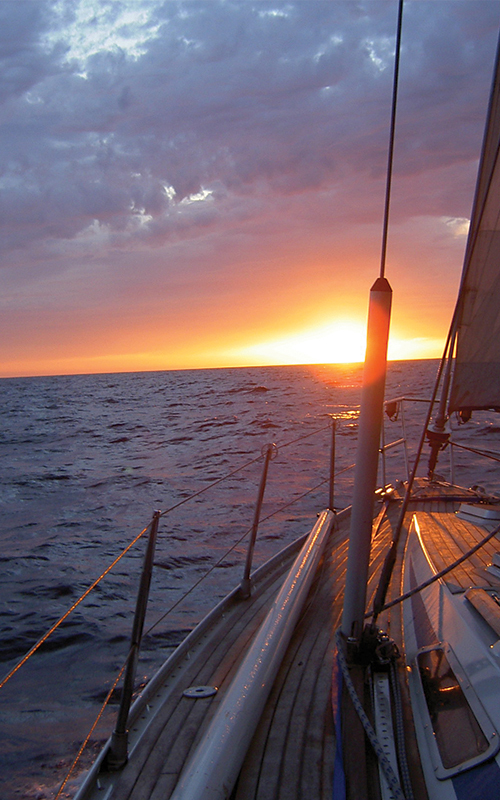 You can enjoy the unique feeling of sailing on your state-of-art yacht. You can create a special and unique vacation for you and your loved ones on the sea through renting a yacht without a captain. In order to charter bareboat yacht; you should have prior captainship experience in the same size of yacht you will be renting. Moreover, you should have either one of the ‘Certificate of Competence for Operators of Pleasure Craft (ADB)’, RYA Day or Coastal Skipper License, or internationally equivalent such as the ICC licenses. Additionally, at least one of your crew members should have prior yacht use information and experience. We invite you to enjoy the yachts of Suda. PS: In case Suda Sailing is misinformed about the licenses at the time of reservation and/or our captains observe serious deficits during their on-yacht assessments, our Skippered Yacht Charter service is put into use. In such a case, the appropriate fees are applied. These procedures are in place to firstly protect you, and your surroundings with outmost care.